Home → Blog → Dealing With Difficult People: Stop Wrestling the Greased Pig! 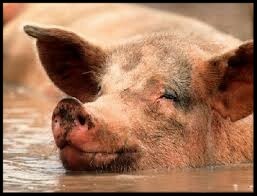 Dealing With Difficult People: Stop Wrestling the Greased Pig! This morning, as I was listening to the latest fiasco in the news, a previous blog I had written came to mind. It offers some sage advice about dealing with difficult people and events. If you wrestle with greased pigs, you both will get dirty but the pig will enjoy it. If you continue to think about the greased pig, you are still getting dirty and the pig has already moved on! Yes, challenging people show up in our lives no matter how much we try to surround ourselves with harmonious relationships. When you are in the midst of hearing about or dealing directly with a difficult person you can easily get obsessed in the spiral of trying to understand the persons behavior. What happens is when you constantly think about the situation, you perpetuate the hurt or struggle. Even if you are absolutely in the right, your mind is still in the pen with the pig, not where your feet are planted. The answer is simple, but not so easy- move away from the pig and get back in your body. Remember it is not a right-wrong/good-bad, but your sanity that is top priority. Hmmm, maybe what I need is to cut out a picture of swine and put a picture of me with it- now that would be a great reminder. I also might not only have to wipe the mud off, but take a nice hot bath!